Kirk Ridgway joined the firm in 1995 and became a shareholder in 2004. He earned his Juris Doctor from the University of Kansas School of Law in 1995 after graduating from the University of Kansas, School of Business in 1992. 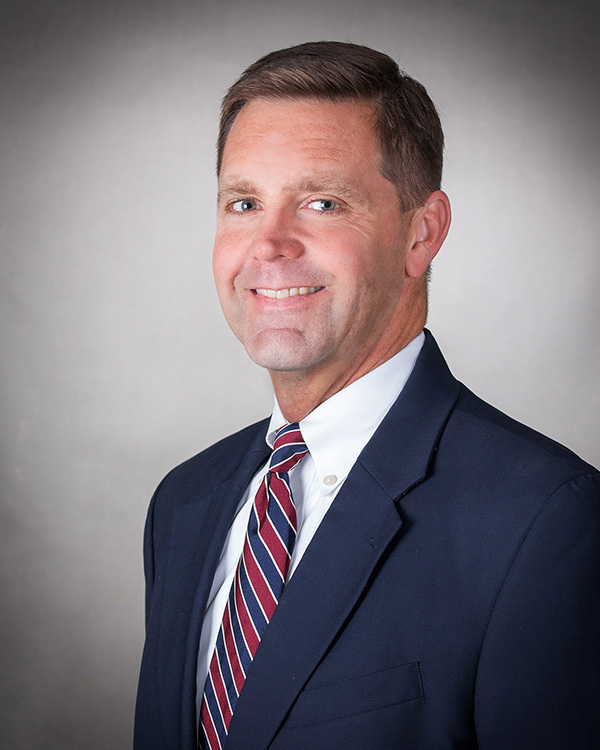 Mr. Ridgway is licensed to practice in the state courts of Kansas and Missouri, the United States District Courts in Kansas and Missouri, and the United States Court of Appeals for the Tenth Circuit. Mr. Ridgway is a member of the Kansas, Missouri and Johnson County Bar Associations. Judges and other attorneys have designated him to be Distinguished® Peer Review Rated™ by Martindale-Hubbell®. This rating indicates Mr. Ridgway is widely respected by Judges and other attorneys for his high professional achievement and ethical standards. Mr. Ridgway’s practice is primarily focused on defending law enforcement agencies, business representation and litigation, estate and probate litigation, creditor’s rights and collection matters. Mr. Ridgway lives in Overland Park with his wife of 16 years and their three children. He is active in community activities and coaching youth sports.